Jeffrey Katzenberg is to be the very first recipient of the 3D Visionary Award, which is to be presented to the CEO of DreamWorks at the 3D Entertainment Summit in September. The summit is a place where bigwigs in the 3D industry get together to discuss how things are going. Now in its fourth year, it covers everything 3D-related, from theatrical, mobile, home entertainment, gaming, advertising and broadcast. Katzenberg will be showing off a few 3D goodies at the event, which is taking place in Hollywood, and James Cameron and Sony Vice President Mick Hocking are among those speaking. 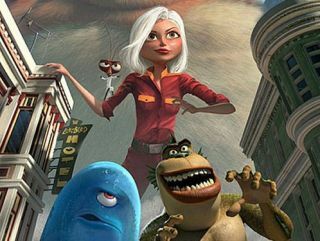 3D hasn't exactly set the world on fire in 2011, but 3D movies do still ride high in the box office and the movie and home entertainment industry is still collectively behind pushing the format. Speaking about Katzenberg's 3D award, Bob Dowling, the Summit's co-producer said: "No one is more knowledgeable or passionate about the global possibilities of 3D entertainment than Jeffrey. "As we mark our 4th anniversary with a major expansion of our programming and sponsor list, it seems a most propitious time to honour 3D's greatest advocate and to thank him for being such a huge supporter of the Summit since its inception."